This is the first Pascal Garnier I’ve read, and while I’ve heard he can be a bit read-one-read-them-all, I enjoyed this quick, noir read. Gabriel arrives in a Breton town and begins to get to know the locals, without revealing very much about himself or why he is there. Jose owns the local bar and is struggling while his wife Marie is in hospital. Gabriel can cook and so takes on this domestic duty while Jose flounders. Gabriel wins the titular stuffed toy on the shooting range at the fair, and gives it to Jose for his children, but it stays in the bar, its impassive gaze surveying the customers, arms outstretched. Gabriel attracts the interest of lonely, cat-obsessed Madeleine, and befriends lonely drug-addict Rita. The blind man turned a corner. The sound of his stick gradually faded away before disappearing completely. The town lay still, bathing in dreams in which everybody was a hero. He had to sleep. Sleep. Gradually we learn about Gabriel’s family and why his wife and children are no longer with him. It also emerges why he is in the town and what his purpose is. The Panda Theory doesn’t hold any great surprises but it’s a well-paced, atmospheric tale that builds effectively to its conclusion. I would happily read more by Garnier, even if it is more of the same. I’ve only read one Garnier but my partner’s a huge fan. It seems you either are or you aren’t! I keep meaning to read Garnier but never get round of it. Some authors *do* seem to be writing the same book over and over again, but it doesn’t always matter if you enjoy their work! 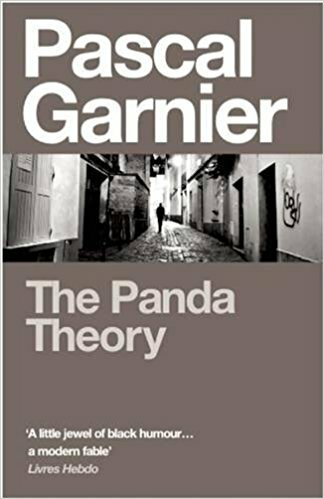 This was the first Garnier I read and, although it’s not my favourite by him, I went on to read most of his other work. There are some similarities indeed to his novellas (they are all rather short novels), but I have certainly liked some more than others. My favourite was ‘How’s the Pain?’. 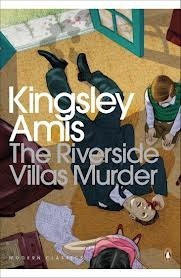 I read three of his books in a relatively short space of time and realised I’d basically just read the same book three times with different names. A bit harsher than is fair, maybe, but I loved the first couple, found the third one unoriginal and when I started a fourth and discovered it was more of the same, I abandoned it, and him, sadly. So I’m untempted by this one. If you want to read more of them though, my fave was The A26. Sometimes it’s good to space an author out a bit – I remember one of my friends saying that about her experience with Maya Angelou and it sounds like Garnier is the same. I’ll try The A26 though – thanks for the tip! I just picked up the only Garnier our library has the last time I was there – The Eskimo Solution (not sure why this is the one our library chose to carry?) – I was curious about him after reading a few reviews and kept coming across this book that no one else seemed to be taking out. Hopefully I’ll get to it before it’s due… I certainly didn’t need to add to my pile!